May stand in receiving line, if requested by bride and groom. Dance and be gracious at the reception. Enjoy the time you spend selecting gowns together, the fun you'll have at the bridal shower with the girls, as well as the bachelorette party with your bridesmaids. Make sure you have cameras ready to capture everything so you can remember all the details after your wedding. You will be creating special memories with the friends who are closest to you ... cherish them. Enlist your bridesmaids to help in planning (and executing) the rehearsal dinner, as well. There's no need to try to do everything yourself. This can take an enormous amount of stress off you and your groom as the big date approaches. Keep the ladies in the loop as much as you can. Be sure to alert them of any extra expenses for alterations, update them when it's time to meet for trying on dresses, picking out the shoes and selecting the wedding jewelry. Planning the wedding is a lot of fun, but it can also be incredibly stressful for all involved. 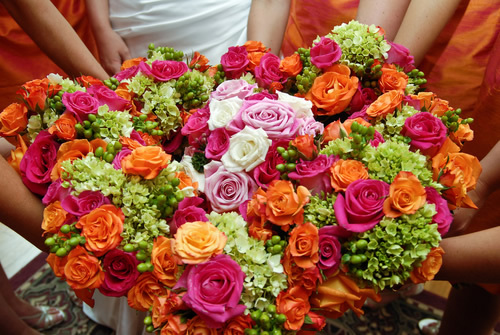 "No surprises" is the best way to keep everyone on the same page and running smoothly for your big day! Personalized Wedding Flips Make a GREAT gift! Your bridesmaids will bend over backward to help make your wedding absolutely incredible. They also incur a pretty big expense on your behalf, including the dress, their shoes, their jewelry, as well their hair and makeup. If you have girls travelling to be part of your wedding party, the expense goes up immensely! 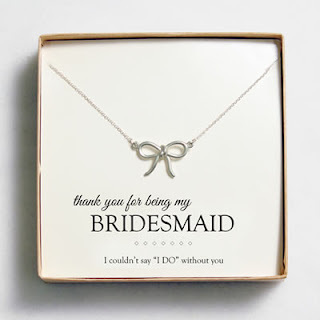 It's important thank your bridesmaids and it's appropriate to present them with a thank you gift at your rehearsal dinner. You can select matching gifts for all the girls, or you can select unique gifts (in the same price range) for each. A nice hand written thank you card accompany your gifts is a genuine and appreciated added touch.